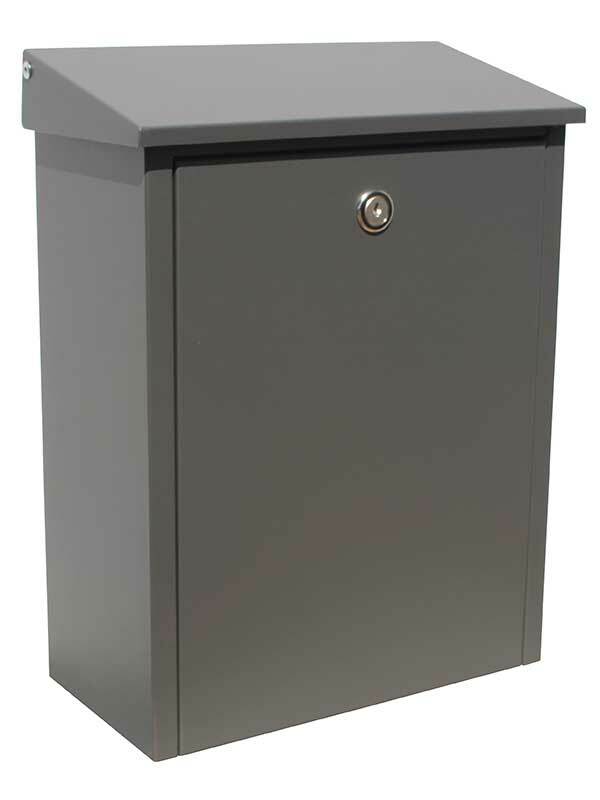 Rich and roomy, top-loading, locking, wall mount mailbox. A top lid covers the 9-7/8" x 1-1/2" slot. Steel construction with durable powder coated finish. Dimensions: 11" x 15-3/8" x 5-1/2"
Please note: Mounting hardware not included. If mounting to a masonry wall, use masonry mounting screws with masonry anchors (at least 1-1/2" long).